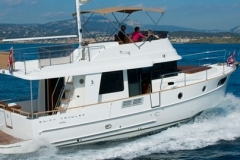 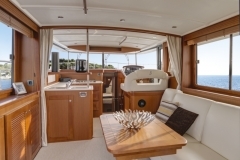 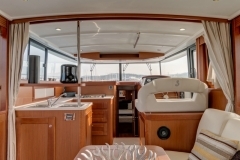 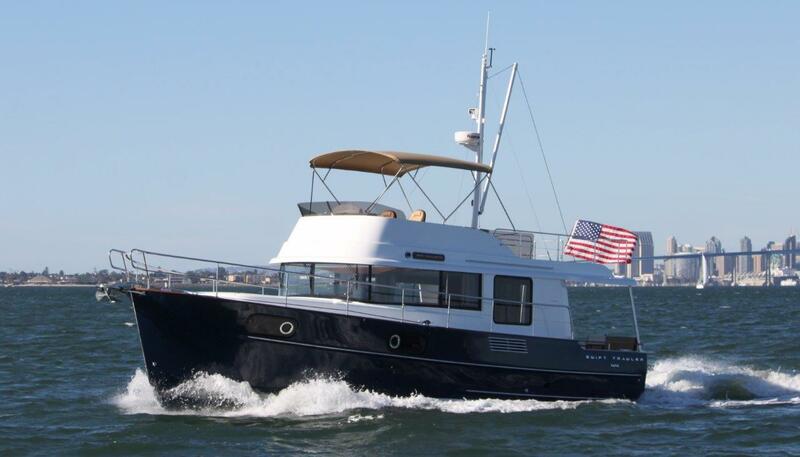 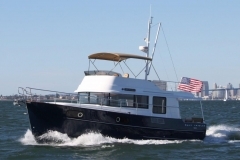 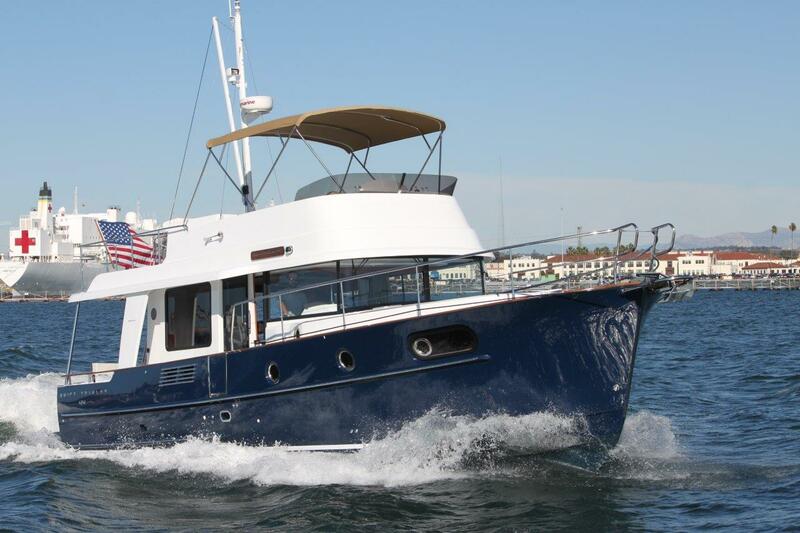 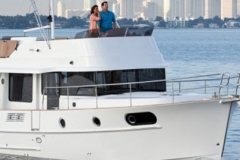 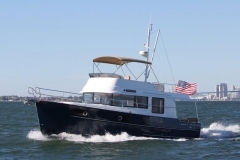 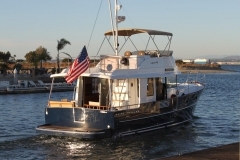 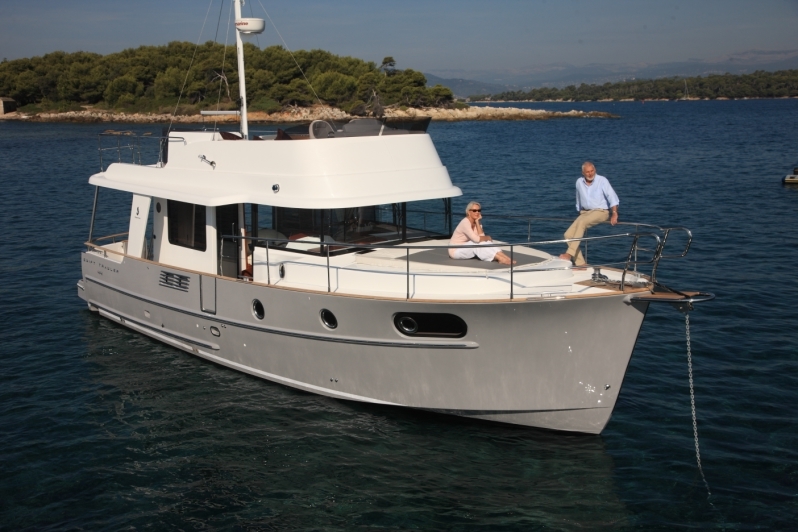 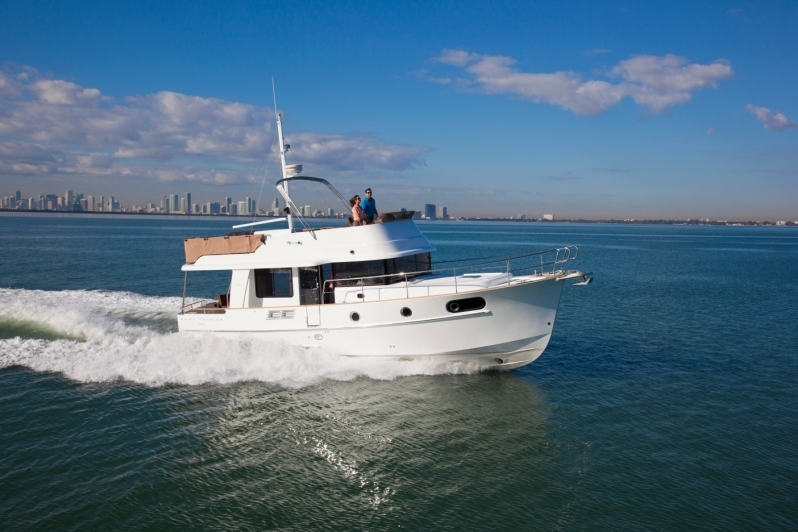 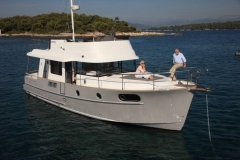 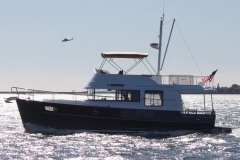 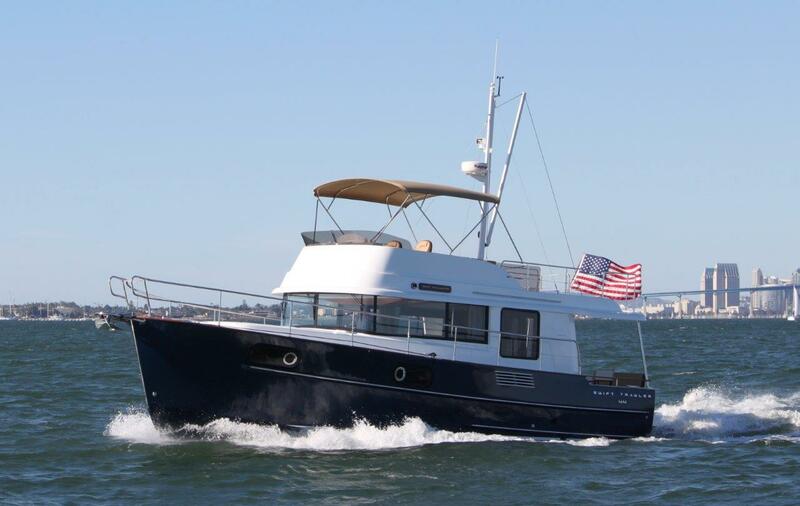 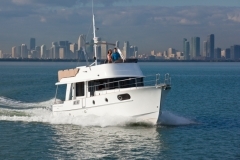 The Swift Trawler 44 is truly the ideal long-distance cruiser for couples. She is composed even in harsh conditions and surprisingly responsive at low speeds. 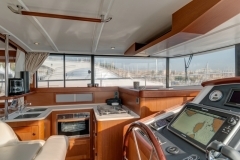 From the helm, the captain has 360-degree visibility. 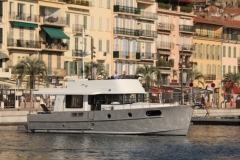 Thanks to Beneteau’s thoughtful design, the Swift 44 can be docked single-handed with complete controllability and accuracy, particularly with the aid of bow and stern thrusters. 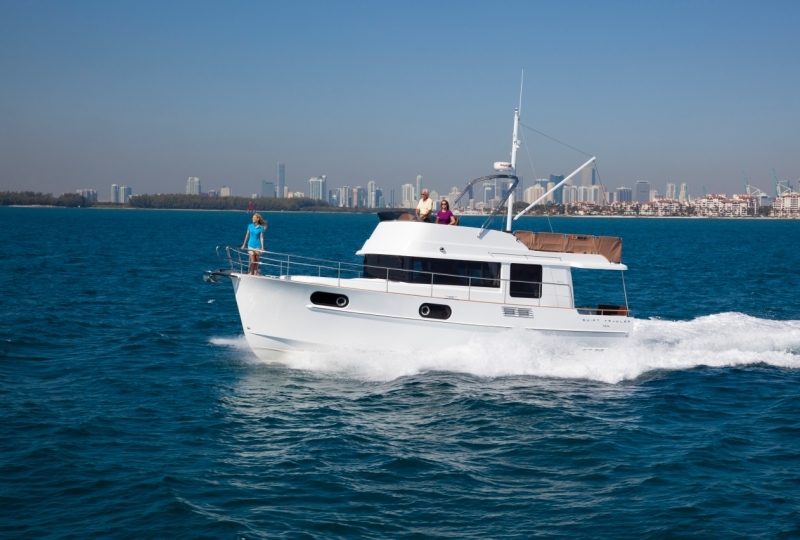 The Swift’s twin 300 hp diesel engines make cruising comfortable. 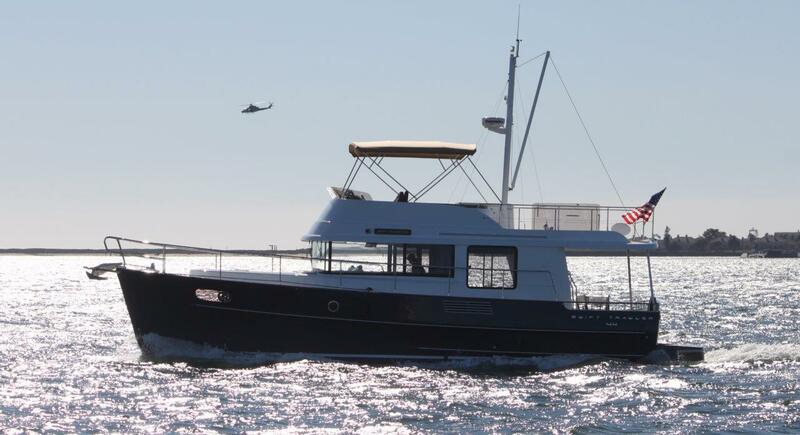 You’ll notice little penalty in fuel consumption even cruising at 17 to 23 knots and appreciate how remarkably quiet she is at full speed. 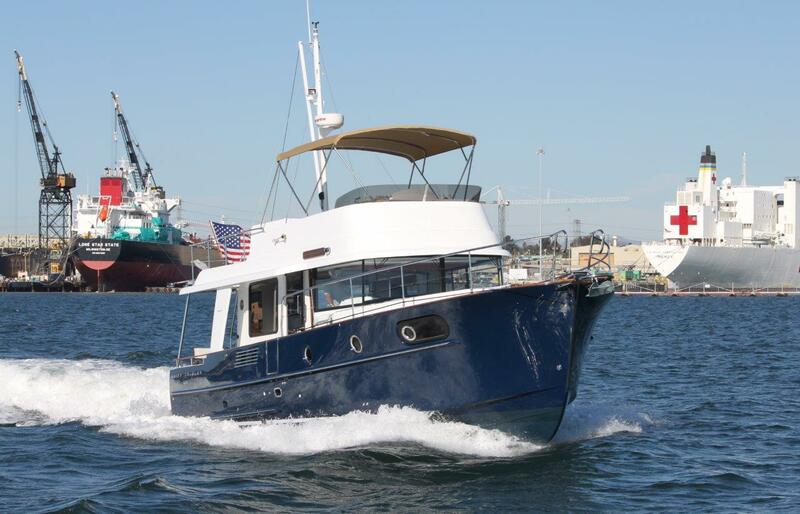 Not all fast trawlers are created equal, in fact the Swift Trawler 44 is the most efficient in her class. 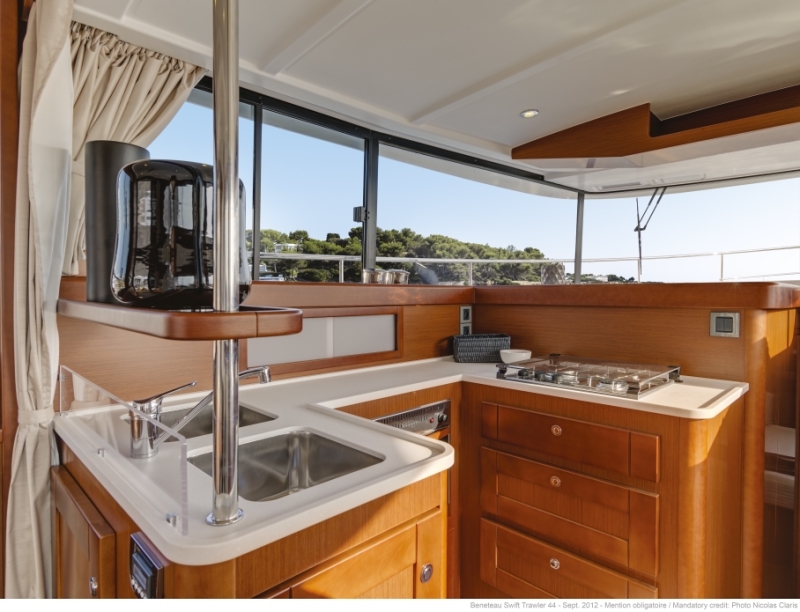 The asymmetrical design of the Swift Trawler 44 results in a roomier salon with more headroom below. 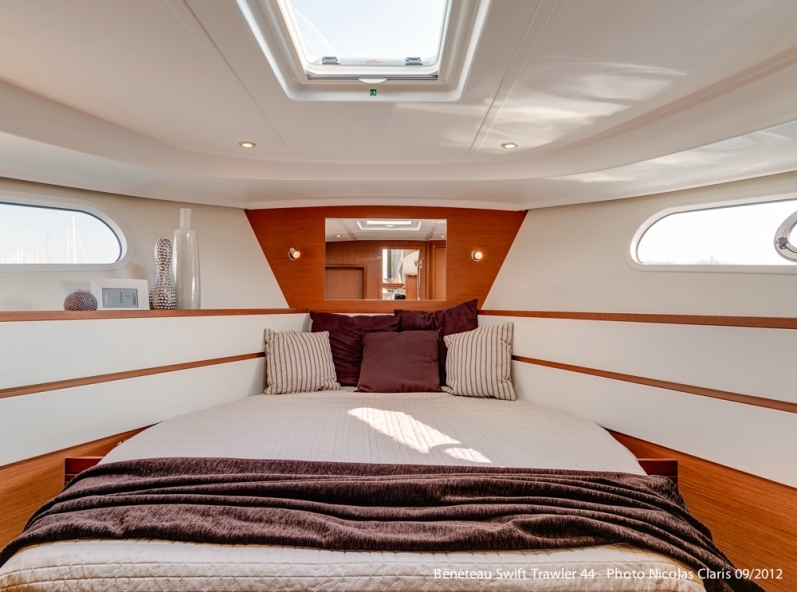 Her owner’s stateroom is spacious with plenty of storage. 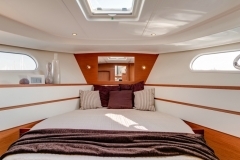 The guest stateroom has two single berths adjoining to make a queen-size berth. 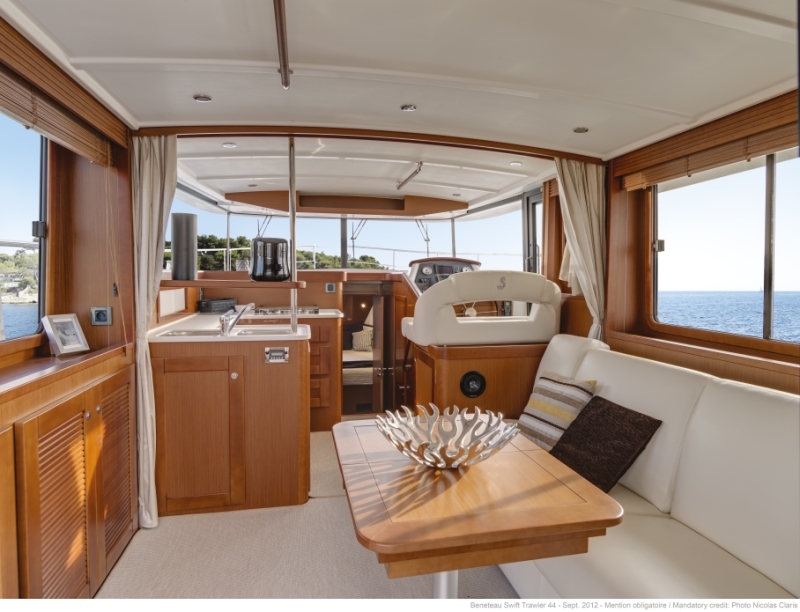 With the salon’s settee featuring a foldout double mattress, she can comfortably sleep six. 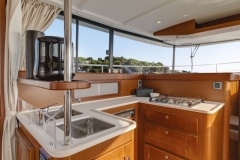 Her nicely sized u-shaped galley makes entertaining easy, and families enjoy her large swim platform. 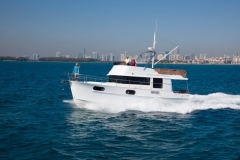 Contact Us about the Swift Trawler 44. 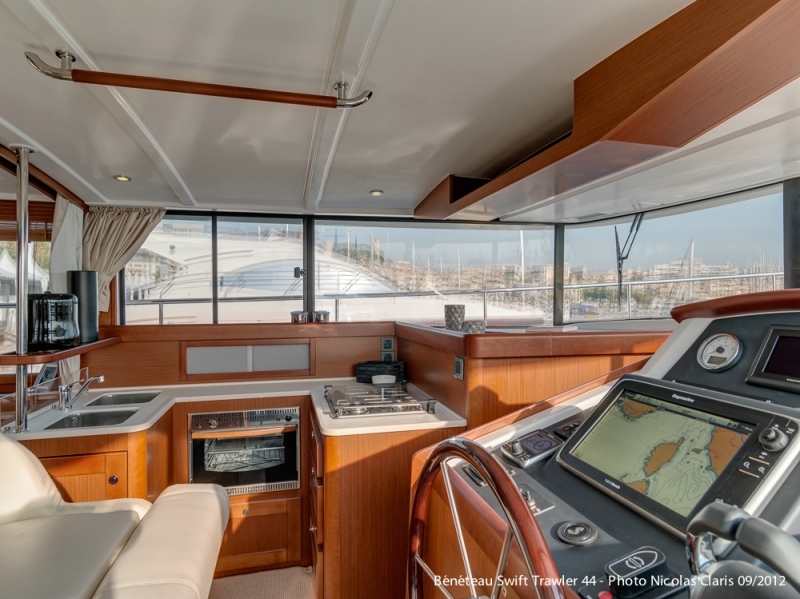 Read the “Captain’s Review: Swift Trawler 44 delivery by the Alexandrov brothers” article here. One of the commendable things about Beneteau as a boat builder is its drive for perfection. 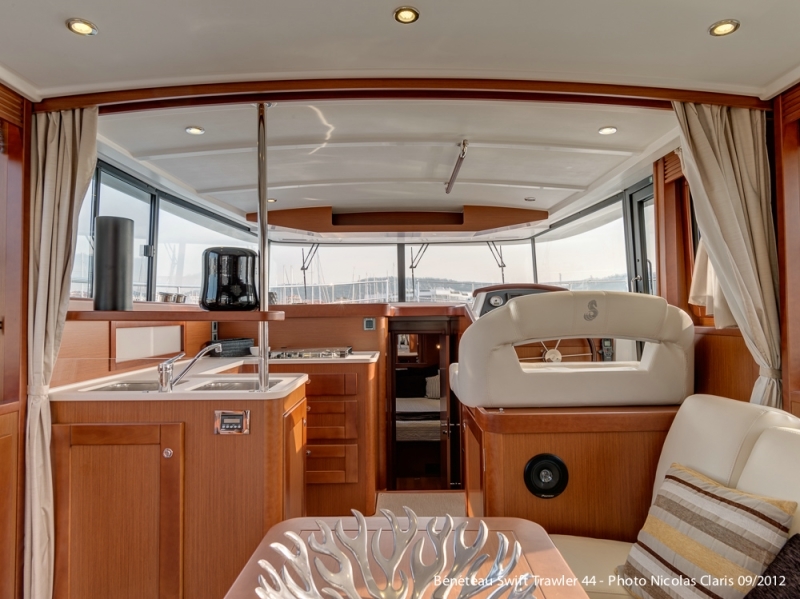 Rarely have I encountered a boat builder that is so good at what it does, but is also so open-minded about making a good thing just a little bit better – even though it costs a lot of money in re-tooling. 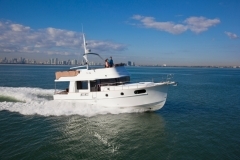 Read the whole article on the Boattest.com website.